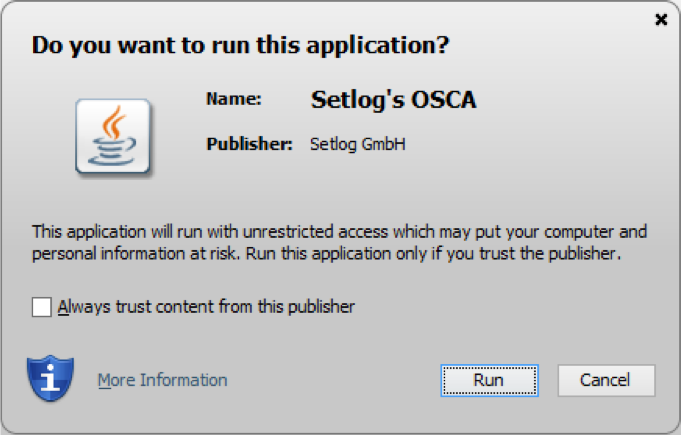 I want to install OSCA® on my tablet. Is this possible? There are lots of applications and websites that won’t work unless you have Java installed, and more are created every day. Java is fast, secure, and reliable. From laptops to datacenters, game consoles to scientific supercomputers, cell phones to the Internet, Java is everywhere! Yes, Java is free to download. 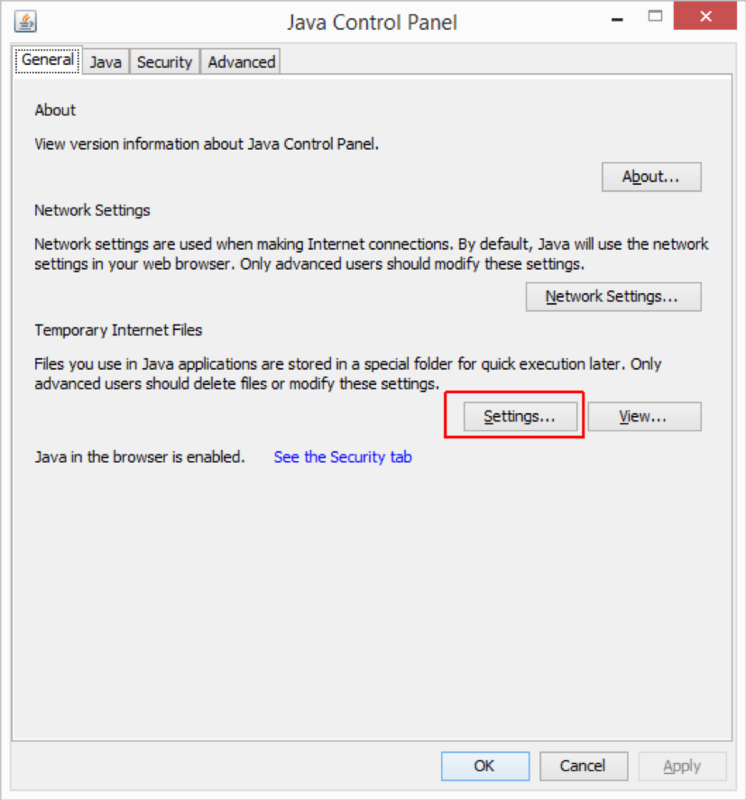 Get the latest version at https://www.java.com/. Click on the install link we provided to you via email. A small jlnp file is downloaded to your computer. Double-click on the file to launch the application and approve the security question. The test application will solely perform a network and file-system check. You can remove the software later via the Java Console of your operating system. OSCA® does not need administrator rights for installation. OSCA® does not need any specific firewall settings. Currently, the tablets with native support are tablets running Microsoft Windows (e.g. Microsoft Surface 2 / Surface 3 Pro). 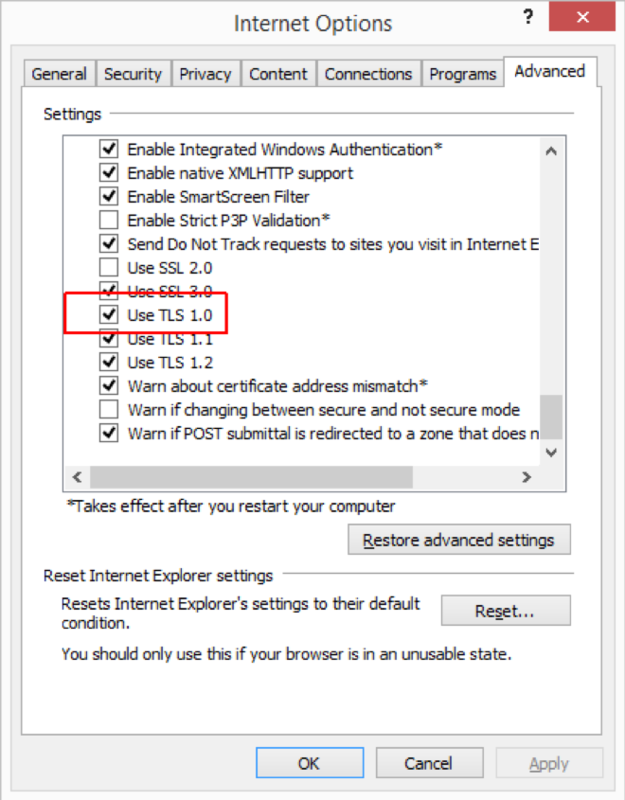 Ask your IT to setup a Windows Terminal Server session running an OSCA® instance. By using freely available RDP software, you can connect to the terminal server session and thus using OSCA® on your tablet. 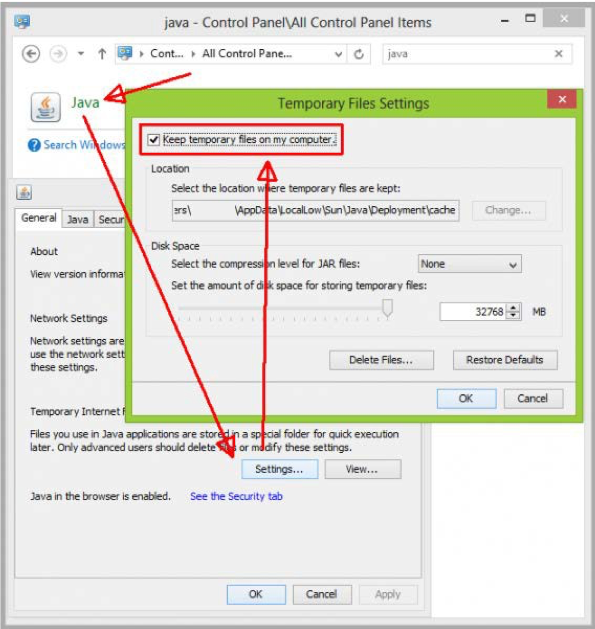 This restrictions applies because OSCA® requires a Java Runtime Environment (JRE) to be installed. Most of today’s tablets do not support this, including Apple’s iPad or any Android tablet. As a consequence, OSCA® cannot be installed and run natively on any of these devices. 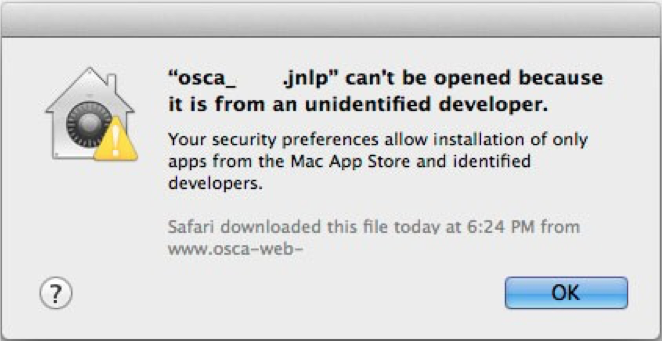 After clicking on the „Install OSCA®“ button, the browser only downloads a JNLP file and does not start the installation process. Download the installation file to your Desktop. Right click on the downloaded file and select „Open with…“ from the popup menu. Choose „javaws“ and apply changes. 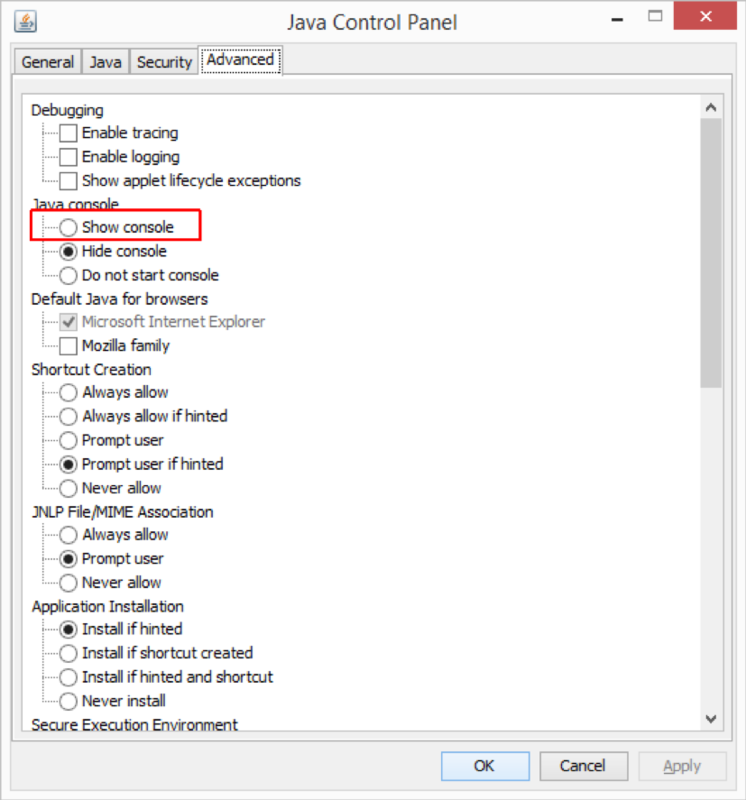 After double clicking the downloaded jnlp file the installation process should start. If applicable, unlock your settings by clicking on the lock icon on the bottom left side of the dialog. Under certain circumstances, Java may fail to install / start. Please follow the instructions below if you are experiencing the following error message. During the first installation of OSCA® the following error message is shown. Open your Windows Control Panel. 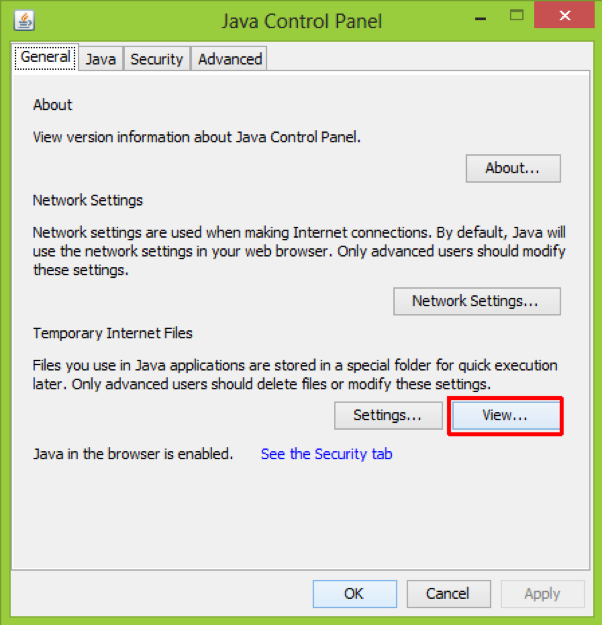 Search for the Java Entry and click on it. 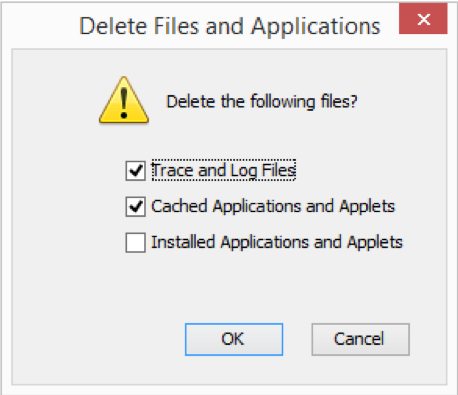 Ensure that the Tickmark „Keep temporary files on my computer.“ is checked. 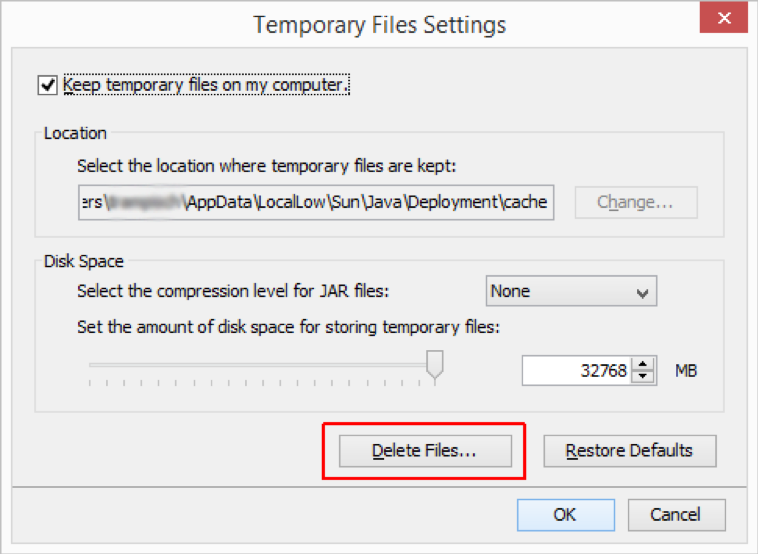 Most of the times this error can be resolved by clearing your Java Cache. 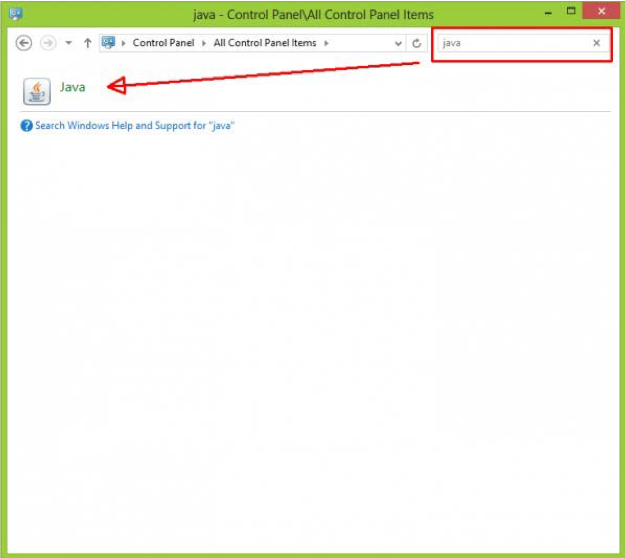 Please open your Control Panel and double click on the Java icon. Tick mark the selected entries and click „OK“. At this point, try to run OSCA® again. If it runs fine, you do not need to continue. If not, open up the dialog again, select all entries and click „OK“. Now try to run OSCA® again. If it runs fine, you do not need to continue. If not, please try the following setting (untick „Keep temporary files on my computer“ and click „OK“). If you do not have a desktop (shortcut) icon for OSCA®, you can manually create an icon. 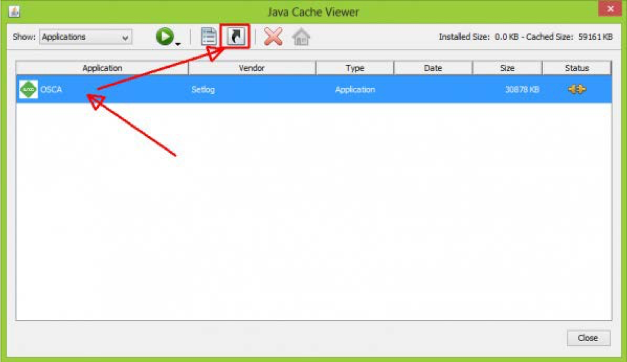 Search for Java and double click the icon. 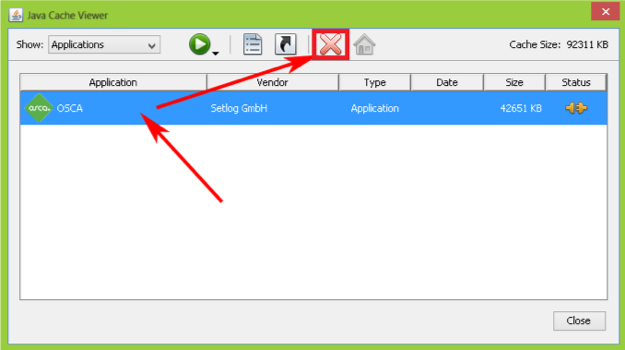 Select the OSCA® application and click the icon marked on the top („Install Shortcuts…“). 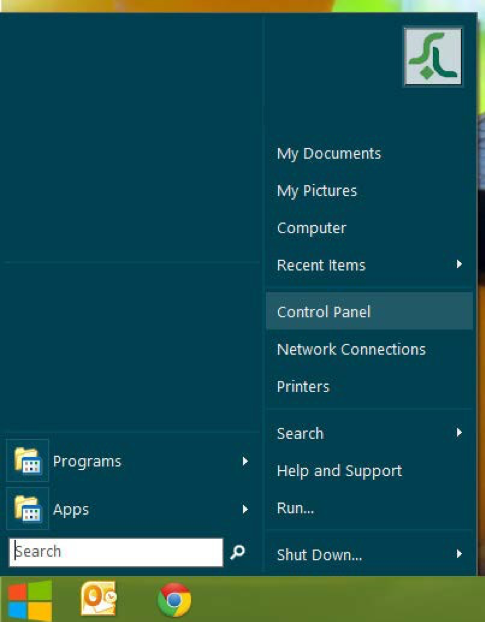 By default, during a XenApp session nothing ever gets populated past the „username“ part or is vanished after ending a session. in which „absolutePathToNewCacheDir“ is the new path to your cache folder. Please ensure that the folder is existing and writable. The change applies immediately after saving the file. 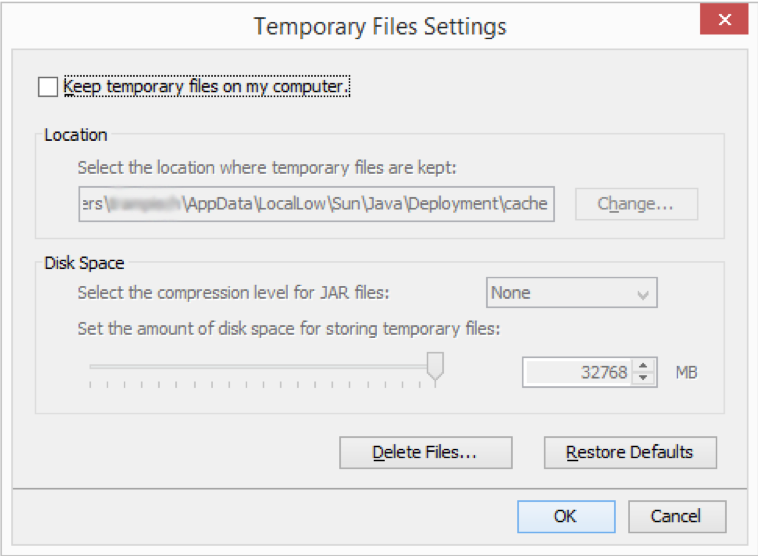 The next Java Webstart application installed on this system will then be consequently installed in the folder. Select the OSCA® application and click the icon marked on the top („Remove selected resources…“). This is an advanced debug feature intended to be used only by system administrators. Sometimes, if OSCA® fails to install, it has been proven helpful to activate the Java internal debug console. 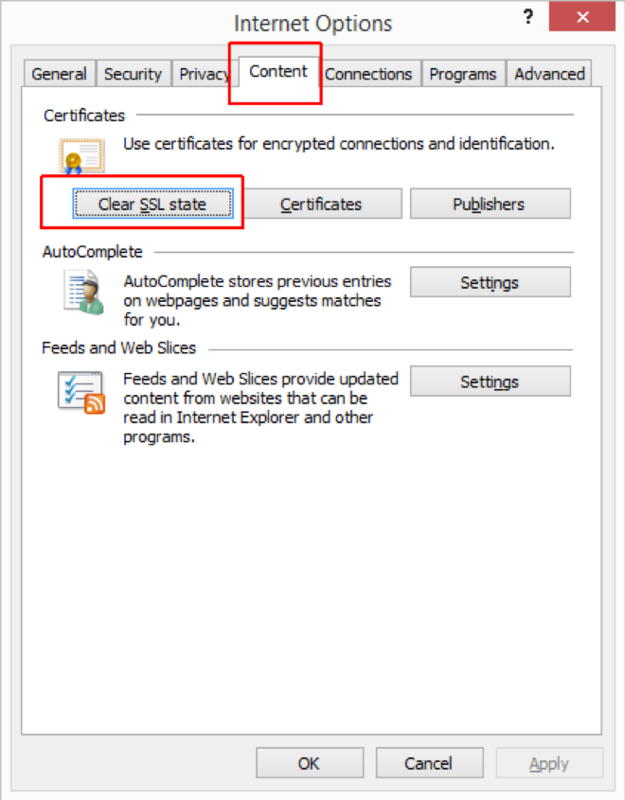 In some cases it has been proven helpful to clear your SSL certificate state. 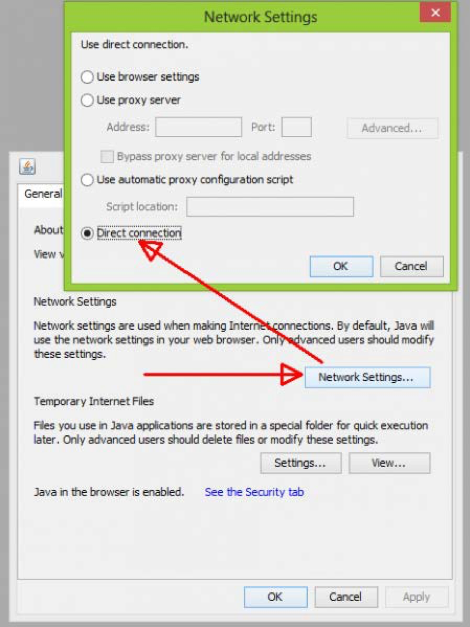 For this, open up Internet Explorer and open the settings dialog („Internet Options“). Navigate to the „Content“ tab shown below and click on „Clear SSL state“. It is also required for Windows XP users to have at least Microsoft Internet Explorer 8.0 installed. Your question has not been answered? Don’t be afraid to contact our customer support.